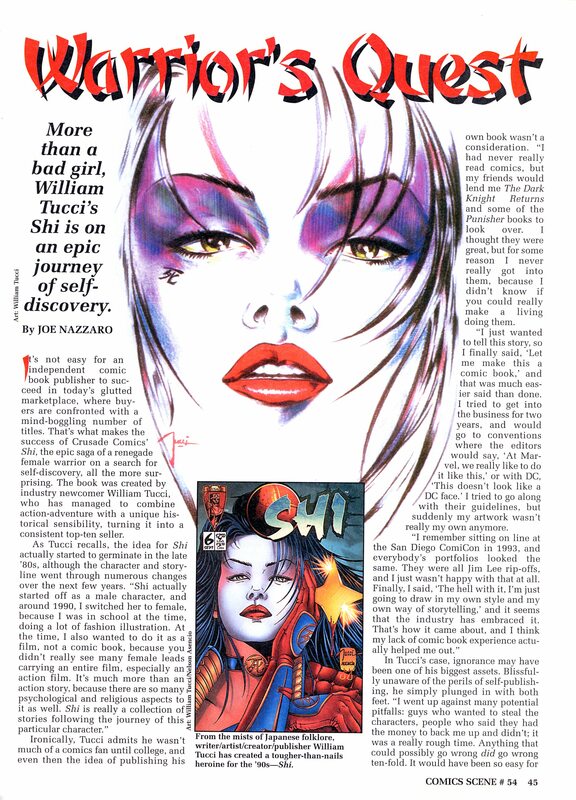 Comics Scene - January 1995, # 54. "Comics Scene is published bi-monthly for the Starlog Group, Inc., under license from Comics World Group, 475 Park Avenue Sout, NY, NY 10016"
"Comics Scene was a magazine published in three volumes by Starlog Group Inc. Its original 11-issue run lasted from January 1982 through September 1983 and the second volume was published between 1987 and early 1996. The third volume, also known as Comics Scene 2000, was published in 2000 for three bi-monthly issues."